I've received lots of thoughtful gifts this Kris Kringle. Amongst all, I was awarded with a "Masterchef 2011" badge... I felt embarrassed but honoured receiving the badge and wore it for the rest of the day. "See! Mummy is a Masterchef!"... I was showing off my recognition to my husband and son after work with lots of pride and joy. These apricot-walnut bars are superb! My son doesn't like to eat plain dried apricot but was chomping up these bars without any second thoughts and not surprisingly, they were gone very quickly. Being enriched with brown sugar, the bars have a great toffee taste with lots of apricot and walnuts embedded inside. For my "cosmetic" purpose, I've given the bars an extra glow by brushing warmed apricot jam onto them...they look very yummy and taste very yummy too! I'm baking these bars for our bake-along with Lena from Frozen wings and Joyce from Kitchen Flavours. 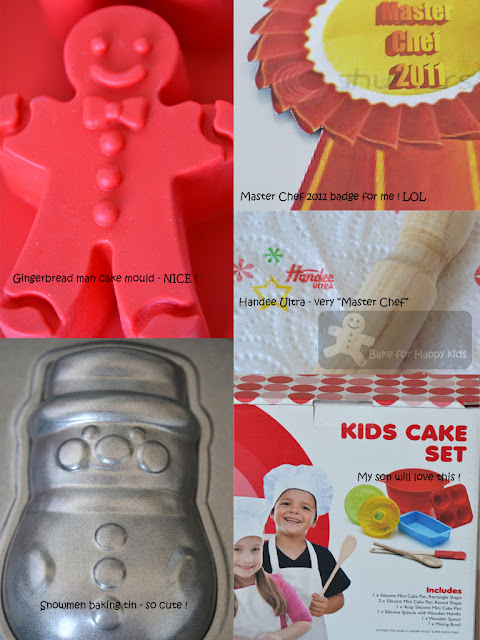 For our next bake-along, we will baking Brownies, which is to be posted on 9 Jan 2012. If you have any favorite brownies recipe to bake and share, please bake-along with us on this date. Here are the giifts from KK! One last close up look of the bars....made by a "Masterchef mummy"! Thanks KK! Preheat oven to 350°F. Spray 8x8x2 inch glass baking dish with non-stick spray. Blend flour, sugar and salt in processor. Add butter; using on/off turns, process until coarse meal forms. Press crumbs firmly onto bottom of prepared dish. Bake until center is golden, about 25 min. maintain oven temperature. Meanwhile, place apricots in small saucepan; add enough water to cover. Boil until soft, about 4 min; drain. Set aside and cool. Sift flour, baking powder and salt into small bowl. Using electric mixer, beat eggs in large bowl. Add brown sugar and vanilla; beat until blended. stir in flour mixture, then nuts and apricots. Spread over shortbread. Bake until puffed and dark brown and tester inserted into topping comes with small moist crumbs attached, about 35 min. Cool in dish. Cut into bars. Transfer to waxed paper. Sift powdered sugar over bars (I didn't do that). Using half of the recipe, I've baked these bars in 10cm x 20cm baking pan at 160°C (fan forced) for 35 min. After cooling, I've glazed the bars with warmed apricot jam (low sugar one from Weight watchers). Looks fabulous, seriously feel like having a slice. Congratulations on your Masterchef 2011 badge!! This looks very tasty indeed especially that last picture! Brownies are my favourite so I'll definitely come back to join in the brownie baking. Wishing you and your family a very Happy Christmas and a wonderful new year 2012! your bars and joyce's bars look great. Mine could have turned out better if not for the wrong amt of flour i put in :( but still taste good but doesnt look like a bar! LOL! Those are really nice gifts, you're even getting a kids set, now your son can happily join you in the kitchen baking with his set! Mmmm....looks so nice, salivating. Merry X'mas and a Happy 2012 to you and your family. Enjoy your holiday! Ooh that looks delicious! I love apricot jam and it looks really moist. Have a wonderful holiday! I'll be sure to check back here after the new year! Hi Zoe, wow.. I'm drooling seeing your apricot walnuts bar. Looks very delicious. Congratulation on your Masterchef 2011 awards. Merry Christmas to you and family. Enjoy your holiday. Congrats Masterchef Mum ! You deserved it ! With all those sneaky ;D healthy (ingredients) addition you put in everything they had happily munch :D The cake looks very yummy indeed ! The bars look so tasty and pretty! Hi Zoe, Your bar looks wonderful! 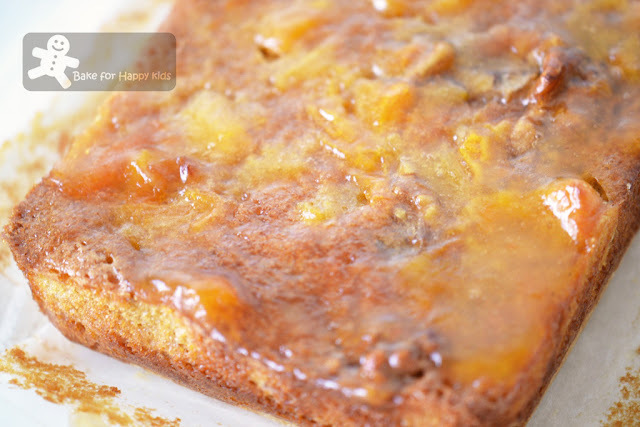 A great idea with the apricot glaze on top! Looks extra shiny and bright! That is a lovely set of gift! Merry Christmas to you and your family. Have a wonderful Christmas and enjoy your holiday! See you in 2012! Happy New Year!!! Apricot-Walnut Bars. - awesome. i would love to have it. Congratulations ! Your apricot walnut bars look like they turned out perfect, very yummy! The bars sounds so delicious as well as the ones from Lena and Joyce. Congratz on the Masterchef badge. Thanks for your nice comment. 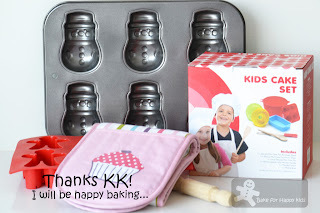 I do feel the same way, I learn a lot about baking from your blog and enjoy your post. so I have to mount and dismount the setup everytime, a lot of playing around with light sources everytime, and get the subject lit up properly. Using incandescent light, some of the colors are not as vibrant, so photoshopping helps a lot. 85% of the time I shoot food at night. Hope this helps. Merry Christmas and Happy Holidays! Oh yeah! That looks yummy, alright! Love the jam on top. I think I prefer that to powdered sugar. Bookmarked. Merry Christmas, Masterchef Zoe! :D And a Yummy New Year! 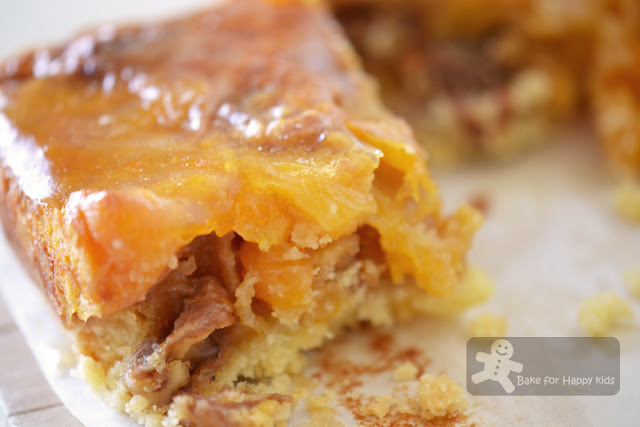 I really like the look of all that apricot goodness-yum! Definitely something that would disappear at my house. Tasty recipe and great pics! May your holiday be filled with all the love and joy that this season has to offer! I look forward to seeing more tasty posts from you in 2012! Congratulations! The apricot-loaded bar looks exquisite! The bars look awesome. I'd love a slice! Merry Christmas and Happy New Year to you and your family! Great achievement for being a masterchef mummy! Would love to make that yummy bar, too! Merry Christmas Zoe! The apricot bar looks really good! Manage to squeeze this warm wishes before I head out of the country. ��May you and your happy family have a wonderful Xmas celebration and great new year! These bars look delicious! Have a very Merry Christmas. These sound wonderful! A very Merry Christmas to you too! hi Zoe, the bar looks divine! Yum! These bars look so moist and delicious! We love apricots here- these would disappear very quickly in my house! :) I hope you and your family have a very Merry Christmas! The bars look delicious - great way of getting fruit into the kids! Merry Christmas Zoe along with the people you love! Congratulations for being a Masterchef Mummy. The bar looks totally decadent! Apricot? I'm in! THe bars look like they'd disappear in a hurry. Merry Christmas to you and your family, Zoe! Those bars look very good. Merry Christmas and a Happy New Yer to you and your family! Zoe, Merry Christmas and have a blessed 2012!! Congratulations! The apricot walnut bar looks fabulous. I love the mix of flavors in this! This bar looks so moist and yummy. Yummy! Hope your Holidays are going great..Have a Happy New year!!! These bars look delectable and I love the glaze you added. Happy New Year to you and your family Zoe! May 2012 bring you lots of joy, health, abundance and love! Just a note to wish you and your family Happy New Year! It has been wonderful getting to know you thru the blogging world. Cheers to a better year for all of us! Congratulations! 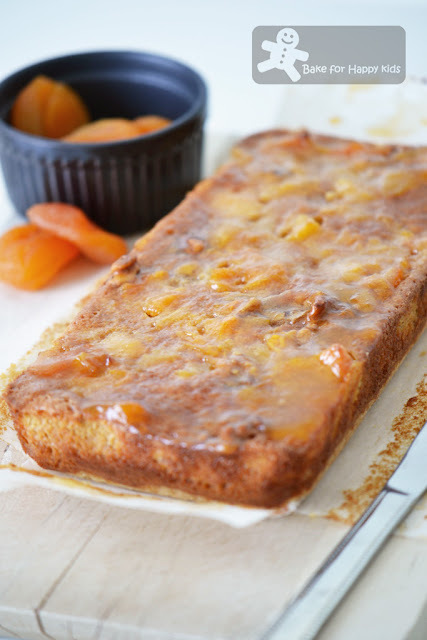 I love anything apricot and this recipe sounds fantastic. Hope it's not too late to wish you and your family a wonderful Christmas and a Happy New Year!